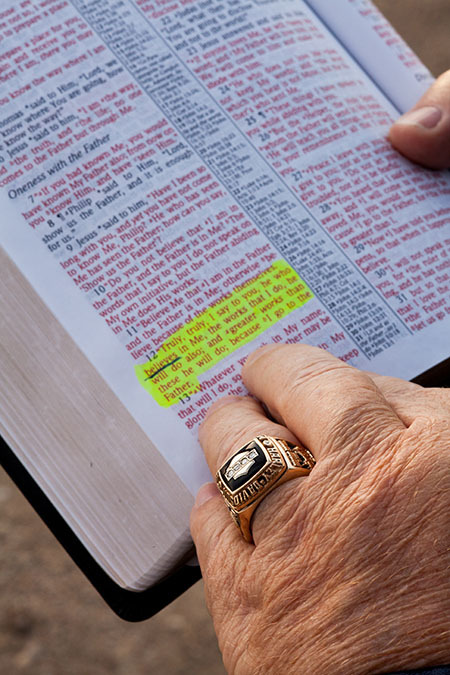 We believe the Scriptures, both-the Old and New Testaments, are verbally inspired of God and are the revelation of God to man, the infallible, authoritative rule of faith and conduct. We believe the one true God has revealed Himself as being the eternally self-existent Creator of heaven and earth and the Redeemer of mankind. He has further revealed Himself as a Trinity, that is, one being existing in three Persons-Father, Son, and Holy Spirit. We believe the Lord Jesus Christ is the eternal Son of God, as revealed in the Scripture, by His virgin birth, His sinless life, His miracle, His death on the cross, His bodily resurrection from the dead and His position at the right hand of God. We believe that man was created good and upright. However, man willfully sinned and thereby was subjected not only to physical death, but also to spiritual death, which is separation from God. We believe man’s only hope of redemption is through the shed blood of Jesus Christ, the Son of God. Salvation is received through repentance toward God and faith in the Lord Jesus Christ. We believe sanctification is an act of separation from that which is evil, and of dedication unto God.The Priesthood of all Believers and the vision of the church as contained in Ephesians 4:11- 16. Every member in the body of Christ is gifted and called into ministry. The church embraces people holistically in the discovery of gifts, needs and God’s calling. The church seeks to equip people for ministry in the family, the church, the community and the world. We believe the blessed hope of the Church is Christ’s return from heaven to catch up the Christians who have died, together with those who are alive, to with Him forever. We believe Christ will return with His saints to establish a 1,000 reign of peace. After this, will come the final judgment to the wicked, and then a new heaven and a new earth.